North Korea already has one of the largest fleets of long-range ballistic missiles in the world. US government experts believe that North Korea might have an intercontinental ballistic missile (ICBM) capable of hitting a target in North America within the next few years. The United States has employed a variety of tools to address these kinds of missile threats, ranging from unilateral threats, multilateral diplomacy, extended deterrence, and ballistic missile defense (BMD) systems. These systems include short-range weapons such as the Patriot Advanced Capability-3 (PAC-3), theater systems such as Terminal High Altitude Area Defense (THAAD) and Aegis-equipped naval vessels, and the ground-based midcourse BMD interceptors based in Alaska and California. The BMD systems are not designed or able to counter the large and sophisticated strategic nuclear missile arsenals of China and Russia, but both their governments describe the US missile defenses in Asia as potential threats. Japan has been the most important Asian BMD partner of the United States. The Republic of Korea (ROK) is constructing a Korea Air and Missile Defense, but its capabilities focus on protecting the Korean Peninsula, despite US desires that the ROK join its regional missile defense network in northeast Asia. Along with disputes over South Korea’s civilian nuclear energy plans and how much host-nation support South Korea should provide the US troops in Korea, ROK-US differences on the BMD issue will need careful management in coming years by both parties. The DPRK already has suffìcient missile capabilities to inflict major damage on US interests in the Asia-Pacific region, as well as against US allies such as Japan and South Korea. The DPRK has developed several ballistic missile types, of varying ranges and capabilities, which may be able to deliver a nuclear warhead against targets in South Korea and Japan. The DPRK is working on an intercontinental-range missile capable of hitting targets as far as California and Alaska. North Korea has already tested three nuclear explosive devices and, given its estimated past production of plutonium, likely possesses several additional nuclear weapons. North Korea also employs its missiles and related research-and-development efforts to enhance its non-nuclear strike capabilities, compensate for its weak air force, and earn revenue from foreign buyers. The DPRK has a history of selling or exchanging ballistic missiles as well as their components and technologies with other regimes of proliferation concern, especially with Iran, Pakistan, and Syria. The United States and some of its Asian allies and partners are trying to counter North Korea’s missiles and thereby deter DPRK aggression and strengthen the credibility of US extended deterrence guarantees. The United States has employed a variety of tools to address DPRK and other missile threats. US offìcials have engaged in bilateral and multilateral diplomacy in an effort to persuade North Korea to end its nuclear weapons programs and refrain from the further testing of ballistic missiles. They have also used declaratory policy by repeatedly warning North Korea against developing, testing, or using these capabilities. The United States has offered many countries diverse security guarantees, including implicit and sometimes explicit pledges to potentially employ US nuclear capabilities to protect them. The US government has provided security assistance—such as weapons, defense technologies, and financial support—to US friends and allies to enhance their defense capabilities. The Pentagon also bases or deploys large numbers of US troops in Asia, with an impressive range of conventional and unconventional capabilities, reinforced by globally usable US-based assets, such as long range strategic bombers. Among other problems, North Korea’s growing nuclear and missile capabilities are calling into question the US extended deterrence guarantees to South Korea. At times, sudden changes in the troop size, or the withdrawal of all US nuclear weapons in the ROK, have aroused concern among South Koreans regarding the credibility of US commitments. The United States has always planned to defend South Korea with forces from other locations in a crisis. In addition, US conventional forces have become more powerful over time, which has also allowed them to fulfill many of the missions previously assigned to nuclear weapons. What is new, however, is that North Korea is developing the capacity to launch nuclear-armed missiles against US territory, which raises questions about whether the United States is really prepared to use nuclear weapons against North Korea in defense of other countries and there- by raise the risk of DPRK retaliation against the US homeland. North Korea’s imminent acquisition of a long-range nuclear strike capacity against the United States is a novel and unacceptable development for Washington, which refuses to accept a mutual hostage relationship with Pyongyang. The fear is that the DPRK would use a nuclear shield to immunize itself against US military retaliation for future provocations against the United States and its allies, especially South Korea. The United States has been constructing missile defense architectures in Asia and other world regions as well as globally to counter North Korean missile threats. The Pentagon has been developing a multi-layer defense system designed to maximize the possibilities of destroying incoming missiles. The US ballistic missile defense system (BMDS) includes networked sensors, especially ground and sea-based radars for target detection and missile tracking. It also has ground and sea-based interceptor missiles for destroying a ballistic missile using either “hit-to-kill” technology or, with older systems, an explosive blast fragmentation warhead. The current BMDS interceptors for the various missile flight phases are the Ground-based Midcourse Defense (GMD), THAAD, PAC-3, and the Aegis BMDS. More advanced BMD systems using non-kinetic means are still under development. Thus far, the demonstrated capabilities for the mid-course interception have proved superior. Efforts to develop advanced boost-phase systems (such as an airborne laser) have made only limited progress. Battlefield terminal defenses have a better record, both in tests and actual operations, but their area of protection is limited. In contrast, the Aegis radar combined with the SM-3 interceptor has managed to hit a variety of targets under various testing conditions, as well as successfully shoot down a wayward satellite. The Aegis/SM-3 combination has been deployed on many naval platforms, and is being developed and deployed as a land-based system as well. The United States has missile defense cooperation programs with Japan, Israel, Australia, and many European countries. The traditional US strategy is to develop military capabilities and conduct military operations in partnership with other countries, but to have the capacity to act unilaterally if necessary. The United States has been spending some US$8-10 billion annually on missile defense, though recent spending has declined from previously projected amounts due to budget cuts, failed tests, and inadequately developed technologies. The United States faces the challenge of balancing the need to continue developing and testing more advanced BMD technologies against the demand to field already proven current-generation systems. Budget stringencies also magnify the challenge of juggling investments between augmenting future BMD capabilities and fielding existing systems. Potential adversaries are deploying currenteneration missiles that can be addressed by present-day US BMD systems. But they are also developing more advanced missile capabilities that require more advanced defenses to counter. Russia and China have reacted negatively to the US BMD initiatives in Asia. Russian offìcials vocally complain about the unpredictable nature of the evolving US missile defense architecture, its potential to intercept Russian strategic nuclear missiles, its disruptive effects of global and regional stability, and the unconstrained dimensions of the US program. No existing treaty explicitly limits how many BMD systems the United States can develop and deploy. Washington has repeatedly rejected Russian demands to sign a new binding legal document specifying what the United States can and cannot do in the missile defense domain. More generally, Russian offìcials tend to exaggerate US BMD capabilities and the potential for a US technological breakthrough. They worry that, behind an invulnerable missile shield, the United States will no longer be deterred by threats of Russian military counteraction or the missile forces of other countries, such as Iran or North Korea, from engaging in more foreign military interventions like those in Kosovo, Iraq, and Libya. The Chinese government has been less vocal in its opposition to US missile defense programs. Nonetheless, Chinese analysts have expressed similar concerns as their Russian counterparts. They also see US missile defense initiatives in Asia as part of the US strategic rebalancing policy designed to counter China’s rising influence and military power. These systems potentially threaten China’s highly valued portfolio of ballistic missiles, which are important tools of Beijing’s strategy for deterring Taiwan’s independence, denying US forces access to China’s coastal regions and air space, and intimidating other Asian countries such as Japan and India. Chinese analysts also see US BMD cooperation with Japan and other countries as encouraging these US allies to confront China on territorial disputes since they believe the BMD systems will make it more likely that the Pentagon would intervene on their behalf in an emergency. Thus far, Russia and China have limited their collaboration against US missile defense initiatives to issuing joint statements and making other diplomatic moves. They both seek to discourage the DPRK from testing its nuclear devices and missiles for fear of encouraging the United States and its allies to strengthen their missile defenses in Asia. But many Russian and Chinese analysts believe the Pentagon is exploiting North Korea’s provocations as a pretext to augment its missile defenses and other military forces in Asia. Russia and China are also, increasing their own strategic offensive forces, though separately, without the kind of cooperation seen, for example, between Britain and the United States. Unlike their Russian counter-parts, who have threaten to launch their nuclear weapons against any nearby country that hosts US BMD systems, Chinese offìcials express their opposition to US missile defenses in Asia in more subtle ways, telling South Koreans and others that collaborating with the Pentagon in constructing regional missile defenses would have destabilizing effects and other negative impacts on regional security. Japan is the only country besides the United States that has the capacity to intercept ballistic missiles far above the earth’s atmosphere, as confirmed by several seabased intercept tests. Japan has acquired its own layered missile defense architecture that includes Aegis BMD ships with Standard Missile-3 (SM-3) interceptors, PAC-3 units, advanced BMD radars, and a sophisticated command and control system. The United States already deploys one X-band radar in Japan to assist with intercepting missiles launched from North Korea, and the two governments are preparing to deploy a second such radar in a different part of Japan. Both countries have co-developed the next-generation SM-3 Block 2A system that will enable defense of larger areas and against more sophisticated threats. The ROK and the United States collaborate in developing missile defenses for South Korea. The United States is helping the ROK develop an independent Korea Air and Missile Defense (KAMD) for intercepting short-to medium-range ballistic missiles. It will have PAC-2 interceptors, Aegis destroyers equipped with Standard Missile-6 (SM-6) surface-to-air missiles, and early warning radars. According to current plans, the KAMD will not have the SM-3 or other longer-range capabilities, which will limit its capabilities to defending South Korea’s territory and population. For various reasons, South Korea has declined to integrate its missile defense system into the larger Asian regional network being developed by the United States and Japan. Even the US BMD radars and PAC-3 interceptors deployed in South Korea are offìcially intended only to defending themselves and their host country from a DPRK missile attack. For now, the United States and South Korea are considering at most establishing a joint mechanism to integrate the ROK’s Air and Missile Defense Cell (AMD-Cell) in Osan with the US Forces Korea’s Patriot air- defense missile system. South Korean disinterest in acquiring more extensive missile defenses is understandable. Missile defenses in general are costly, and ROK offìcials have to allocate limited defense spending among many priorities. The main North Korean missile threat to South Korea is its large quantities of short-range missiles and long-range artillery capable of devastating Seoul and other ROK population centers. The ROK defenders aim to deter DPRK missile attacks primarily through threats of retaliation rather than through direct defenses. South Korea is also acquiring longange missiles that could be used preemptively against the North’s missiles before they have been launched. South Koreas’ tensions with Japan and its concerns about antagonizing Russia and especially China also discourage Seoul from joining the missile defense system the United States, Japan, and other countries are constructing in the Asian region. South Korea and the United States do share intelligence about North Korea’s overall missile capabilities, but some US analysts would like South Korea to augment its capabilities to support US regional missile defenses. It would be more effective for South Korea to pool its limited resources with the United States and its other Asian BMD allies and acquire more advanced missile defense systems from them. For example, the more sophisticated SM-3 interceptors that are being deployed by Japan and the United States would give South Korea greater capacity to intercept DPRK missile launches during their boost and midflight phase, effectively extending the window of opportunity to target North Korean missiles. The DPRK might use longer range missiles to attack airfields, ports, and other key transportation hubs in South Korea in a conflict to impede the flow of US reinforcements. Even if inaccurate and not armed with nuclear weapons, such launches could frighten civilian support workers into abandoning their posts. Further back, the Pentagon will rely on bases in Japan to transport reinforcements and other assets to South Korea. Establishing an integrated network would make it easier to use ROK-based BMD assets to defend Japan and the US forces based there from DPRK missile attack. Finally, the ROK is becoming a global security actor, so these capabilities could also help protect ROK military units deployed in other contingencies outside the Korean Peninsula, such as the earlier South Korean missions in Iraq. Concurrently, South Koreans would benefit from being able to have defenses against long-range missiles from the dozens of countries that are acquiring intermediate-range ballistic missiles. US offìcials do not consider securing ROK integration in US regional BMD systems as important as, for example, securing a favorable outcome in the negotiations over South Korea’s civilian nuclear expansion plans or increasing the ROK’s host nation support. It is understood that South Korea may contribute less to US missile defense initiatives than possible but is contributing more to other joint ROK-US priorities. Even so, US and allied BMD capabilities have already proven their value against recent North Korean missile provocations. In the past year, the United States and its allies moved new missile defense assets into northeast Asia and put those that were already there on a higher state of readiness. These BMD capabilities gave US and allied policymakers options short of the use of force to dissuade North Korea from further belligerence. They also reassured civilian populations and reduced the coercive effects of North Korea’s threats of missile attack. Under some scenarios, the BMD issue could become a greater source of tension in the alliance. In particular, if the United States can ever develop a working early intercept system, the Pentagon might want to place it in South Korea near the DPRK border, which China and therefore many South Koreans would not welcome. US and ROK defense analysts should consider such contingencies and ways to manage them well before an actual alliance crisis develops. The United States could increase ROK support for regional missile defenses by better explaining the nature of the DPRK missile threat to South Korea and other countries. In addition, offering South Korea more research and development contracts for BMD-related items could boost Seoul’s support for US regional missile defenses. Defense industrial considerations have proved important in securing French and Japanese support for US BMD initiatives. Finally, reducing Chinese and Russian opposition to US missile defense programs would make them more palatable to South Korea and other countries. Richard Weitz is a Senior Fellow and Director of the Center for Political-Military Analysis at the Hudson Institute. His current research includes regional security developments relating to Europe, Eurasia, and East Asia as well as US foreign, defense, and homeland security policies. Dr. Weitz is also a non-resident Senior Fellow at the Center for a New American Security (CNAS), where he contributes to various defense projects. 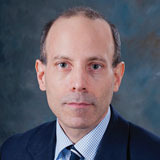 Before joining Hudson in 2003, Dr. Weitz worked for the Institute for Foreign Policy Analysis, Center for Strategic and International Studies, Defense Science Board, DFI International, Inc., Center for Strategic Studies, Harvard University’s Kennedy School of Government, and the US Department of Defense. Dr. Weitz is a graduate of Harvard College (B.A. with Highest Honors in Government), the London School of Economics (M.Sc. in International Relations), Oxford University (M.Phil. in Politics), and Harvard University (Ph.D. in Political Science), where he was elected to Phi Beta Kappa. He is proficient in Russian, French, and German.